Lower back pain (LBP) often occurs in the lumbosacral spinal and paraspinal regions. Dr. Adam Goode is the principal investigator of “Biomarkers to Advance Clinical Phenotypes of Low Back Pain (BACk)” and R01 funded by the National Institute of Arthritis, Musculoskeletal and Skin Diseases. Dr. Steven George’s primary interest is research involving biopsychosocial models for the prevention and treatment of chronic musculoskeletal pain disorders. Dr. Corey Simon’s research is specific to older adults with persistent low back pain, examining biopsychosocial influences on pain with activity and mobility disability. 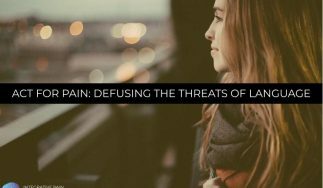 Many of you who follow this podcast know that the treatment of chronic pain has been placed under a microscope because of the fallout from the widespread opioid epidemic. As we turn away from using opioids as a treatment for long-term pain, many of you want to know what the alternatives are, what the nonpharmacologic or non-drug alternatives for pain management and conditions so common such as lower back pain. We will dive into that very topic as you meet our three experts, Dr. Steven George, Dr. Corey Simon and Dr. Adam Goode. It’s important that we review some of the many reasons why the topic of nonpharmacologic pain care is so important. Despite the steady rise over the past few decades of prescription opioids as a frontline option for pain management, the evidence is lacking for its effectiveness in the long-term treatment of pain. The evidence we do have about long-term opioid use overwhelmingly supports that chronic opioid therapy has harmful consequences for one’s health. If you are a regular audience of the Healing Pain Podcast, many of you have heard these statistics before, but it’s important to share them as they provide some context. The current data on opioids tells us that from the year 2000 through 2015, there was a 0.28%-year loss of us life expectancy due to drug overdoses that were primarily opioid-related. In 2016, more than 42,000 people in the United States died from an opioid overdose. In 2017, the Department of Health and Human Services declared the ongoing opioid crisis as a public health emergency and each day, more than 1,000 people are treated in emergency departments for misusing prescription opioids. To help support those with pain and address the opioid crisis, the American Physical Therapy Association has advocated for safe pain management through its Choose PT Campaign. In May of 2018, the journal of the American Physical Therapy Association dedicated an entire special issue to the nonpharmacologic treatment of chronic pain. If you’re interested in reading that edition, it’s Volume 98 Issue Five from May 2018. The co-editor of this special edition is Dr. Steven George. He originally appeared on the Healing Pain Podcast entitled The Importance of Embracing Psychosocial Factors of Pain. Dr. George is back to speak with us, and he is joined by two other physical therapists and researchers: Dr. Adam Goode and Dr. Corey Simon. All three are licensed physical therapists, educators, and researchers studying the conservative treatment of pain at Duke University. You will learn about the Effects of a Home-Based Telephone-Supported Physical Activity Program for Veterans with Chronic Low Back Pain with Dr. Adam Goode. Dr. Corey Simon will share his research called A Paradigm Shift in Geriatric Low Back Pain Management. Dr. Steven George will share his research on advancing psychologically-informed practice for patients with persistent musculoskeletal pain. Let’s meet Dr. Steven George, Dr. Corey Simon, and Dr. Adam Goode. Welcome to the show. It’s great to have you all here. I wanted to have all three of you on because you all have great pieces of work and research published in Volume 98 Issue Five of the Physical Therapy Journal. To my knowledge, it was the first journal that we’ve had was where we talked about nonpharmacologic management of pain. I want to give each of you a chance to talk about your great research. Steven, you coedited the issue for the month. Give us the behind the scenes shot of how it came to be. There was awareness of the chronic pain issues and the opioid crisis lurking in the background. Arlene Greenspan, who is the other co-editor, suggested to Alan Jette that we should do a special issue. She works at the CDC, so her motivation coincided with the CDC guidelines that were published in 2016. She wanted to make sure that our journal address that appropriately, so she kicked it off. Alan was very supportive, they needed a co-guest editor and they asked me to do it. Having not learned my lesson, I was involved with another special issue in 2011 on psychologically informed, I said I would do it. It picked up steam quickly. The debate was how to format the special issue, do we do only invited pieces or do we do more of a general call? We decided to do a model where we would have a general call. We had a good response, close to 50 people or groups replied to the first call. We called them down, some were invited to do full papers and we called those down to the ones who are in the issue now. It received a broad support. We have enough expertise for the people who gave them good reviews. Arlene and I had a nice job of being able to provide some overall vision and making sure that the papers that were selected in the end met the original call and some of the things we had brainstormed. Overall, they did a nice job. For the record, when we’re talking about Corey and Adam’s papers, it’s worth noting to the reviewers. I wasn’t involved in the review of their papers at all because we are at the same institution so that definitely respected the process. I do think it’s worth mentioning that for people who maybe aren’t as familiar with the editorial process that, we listen to what the reviewers have to say, and we try to minimize conflicts of interest. Obviously, having people from the same institution, I don’t want people to get the impression that I was the one who made the decisions on Corey and Adam’s paper because I wasn’t. Obviously, the three of you do musculoskeletal pain research at Duke and teach at the PT school there. Give us the current state of what’s happening in the physical therapy world as far as non-pharmacologic interventions. The awareness of that is at an all-time high. A physical therapist, as they should, are embracing this concept of being nonpharmacological pain providers. Hopefully, it’s encouraging physical therapists to think more broadly about how they apply these. To not be so focused on providing one of these and understanding that there’s a full range of these types of treatments that we’re going to be able to offer. There’s also been a lot of thought about where we’re going to be positioned to provide these. It seems to be better, at least in the early health services studies. For one of my first time in the profession, people outside PT are thinking about ways to position patients seeking care so that they are aligned to get these services earlier than they would in a more traditional model. A lot of people outside PT are thinking about ways physicians and patients or people seeking care are aligned to get these services earlier than they would in a more traditional model. Stopping the opioid crisis is one thing but changing primary care and other pain provider habits to prescribe other non-alternative things like physical therapy are going to take longer. Maybe upwards of five years to get everyone on board but hopefully, with work like this, happen a lot faster. Steven, you have a paper in there entitled Advancing Psychologically Informed Practice for Patients with Persistent Musculoskeletal Pain: Promises, Pitfalls, and Solutions. Can you talk about the promise and pitfalls? Let’s talk about the promise first because both Corey and Adam talk about the psychosocial aspects in their paper. This was one of the things that we wanted to link back to the 2011 special issue. This idea of psychologically informed practice has interested a lot of people since 2011 and some of it predates 2011. That was a term we coined in that special issue and you see people using it more and more in the literature. The promise is as good as we have right now, of a model to manage people with chronic pain or pain conditions because it focuses on incorporating the person’s beliefs, thoughts, and behaviors into the care. In a way that’s constructive, useful, and structured and not quite as focused in thinking that all their problems are related to one single physical impairment. We can identify those on people who have longstanding pain. The promise of it is getting providers that are comfortable thinking about active ways to address those beliefs, thoughts, and behaviors and move the management into a more middle ground or patient-centered. It’s going to be a key to transitioning to self-management. A lot of people think that that is going to be a very important part of pain management in the long run activating people and encouraging them to be confident in self-management approaches. Not view that as a punt but view it as part of the process like what we do with diabetes and some other conditions. There’s the role of the provider has, but there’s also a role of the patient. Psychologically-informed approaches promise to help us transition from the provider going to fit you to this co-management and you having a responsibility. There are certain types of psychologically-informed approaches that a therapist can use. The PT Profession is picking up on that more and more and day-by-day and with research like this, it helps. Knowing that professionals, PTs included, can be slow to change. What are some of the pitfalls that we face as far as a professional? The biggest pitfall right now is getting people willing to change their management models, philosophically is a big one. We’re beginning to realize is finding appropriate ways to train providers at the scale that is needed is probably the main pitfall. There are going to be changes in the way that we deliver education. Part of that is going to be divorcing the biomedical model and finally embracing these skills that a lot of people use. They call those soft skills or non-essential skills and realizing that they are an integral part of it. They deserve our attention during training and that includes during entry-level training. The biggest pitfall is we don’t have the training models and programs that can do it at the scale that is needed. Corey wrote a paper called Paradigm Shift in Geriatric Low Back Pain Management: Integrating influences, Experiences, and Consequences. This is an important paper because we have about three and a half million people turning 65 each year. We have a lot of people with back pain, but more people who are older are going to have back pain. Tell us about the objective of your paper. It started back in the social media universe. It was about a year of following different arguments and you know how that world can get a little contentious. My co-author and I, Greg Hicks, started talking about it. While we were on board with a lot of what Steve is saying, specific to psychosocial influences, what we noticed that there was a tendency in some arguments to hitch to that argument almost exclusively. The first time I saw that was from a group that was aimless, but it was about the fear-avoidance model and how that explained chronic pain amongst older adults. Steve knows that one of my arguments in my dissertation was that it does not, in fact, it falls short in older adults. Many older adults do not avoid it, they try to confront it. It didn’t explain the older adult experience. There are many things that are in the psychological realm that do influence pain amongst older adults. There are other things that we’ve touched upon in the paper which includes energetic inefficiency and your body’s ability to modulate pain as you get older decreases. There is a heavy social part to an older adult pain. The objective of our paper was to review them so that we didn’t run the risk of shifting. As Steve mentioned, it’s important that we’re not in the biomedical realm anymore, but if we shift too far, we start to lose focus of something of influence older adults or as you get older, are still an influence. The other thing is when you’re talking about pain, it’s very easy to focus solely on the pain reduction. The beauty of psychologically-informed practice, it’s more about enhancing function and reducing the influence of pain on function and quality of life. This goes pretty far with older adults and that pain can influence physical function declined or decreases activity. In turn, that brings the potential for other issues, morbidity and ultimately mortality downstream. It’s important not to just focus on pain but consider all these other things in the older adult’s life that you have to consider, mainly the physical activity and their body type. The one thing I appreciate about your paper is that it broke down the bio-psychosocial model and it gave attention to all three parts. The psychosocial aspect is perhaps new to physical therapists so there’s a little bit of a lean in that direction. Specifically, speaking about low back pain in older adults, what are the biological changes that are happening in the aging population that can contribute to back pain? The first thought, the mind immediately goes to degenerate changes. Certainly, degenerative changes do occur, but you run the risk thinking that those degenerative changes explain the pain experience solely and that’s not the case. There’s a lot of research to suggest that there are individuals walking around with crummy images that have no pain or have less pain. That doesn’t explain it solely, you have to consider all factors and one of those is pain modulation. The way that our body processes, pain includes some significant changes. We touched upon them on the paper but your threshold increases, your body’s ability to modulate decreases. You have a sluggish pain processing system. It’s different from person to person, but it’s something you need to consider. Another thing we touched upon is hip pathology which my co-author Greg Hicks research is leading this. We’re understanding more and more about how the hip and back interface. Such that individuals that have weak or painful hips in addition to low back pain run the risk for physical function decline. There’s a lot of research to suggest that there are individuals walking around with pretty crummy images that have no pain or have less pain. You also touched on sarcopenia which, even in the realm of physical therapy, I don’t think it’s something that we test strength. In clinical practice, we don’t have a good way to measure it. As I entered into aging research, as a geriatric specialist, you have to consider all these other factors. What I started to learn was that sarcopenia is about defining mass. We talked more about Dynapenia which is decreasing strength. Either way, those factors related to muscle morphology as you get older can influence the body’s ability to be mobile. If you think that pain and mobility are separate, you’re fooling yourself. You have to consider how mass and strength declining with age may interface with the patient’s pain condition and ultimately lead to problems downstream. The social factors, which in a lot of all the research I’ve read around pain and chronic pain, gets the least amount of attention. You spoke about low provider confidence, which I thought was interesting. If you walk into the average physical therapy outpatient clinic, there’s a high percentage of Medicare patients there. You would think that practitioners would have confidence in dealing with that population, but there seems to be a little bit of a question there. This goes back to what Steven talked about moving away from the biomedical model. A lot of it could be explained historically, with practitioners being grounded in a biomedical model. If you think of the pain and consequentially functional decline in that way, when you try to address a pathway anatomy in the spine and you don’t get the outcomes that you expected, it makes sense that you would have lower confidence in your ability to treat. That will change as we start to think from more of a biopsychosocial perspective. The research is there that shows that, as a whole, clinicians are not confident in their ability to treat older adults with low back pain. In addition to that, it borders on tragic because there are still clinicians out there who are prescribing bedrest or declining. If you have pain, when you’re trying to move then don’t move, that’s the worst thing you could do. The third thing is how the priorities and goals of older adults and the clinician aren’t aligned often. If your goals and priorities as a patient aren’t matched by your clinician, then that’s going to decrease the likelihood that you’re going to seek out care or even recover. Those are three major problems right now. 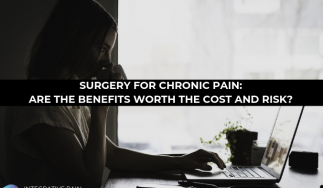 The big thing out of all those three is we need to get away from the mindset that, “As you get older, you’re going to have pain, it’s inevitable.” It is inevitable, but in some ways, it doesn’t mean that everybody’s going to have chronic pain. It also doesn’t mean that we have to go down the route of having physical function decline. You certainly shouldn’t be telling people to move away from an activity because that’s the worst thing that you could do. After you publish this paper, if you read and look over it now, has your view of low back pain in that population change or did it change after the research? I don’t think it changed. A lot of that has been bubbling up but at the same time, it does parallel to what Greg and I are doing in aging or research on older adults’ low back pain. It was complimentary to what we’re trying to do. Adam is doing something similar. It’s trying to provide a common voice for the physical therapist as to what are the things we need to consider for an older adult with low back pain. What are some unanswered questions because it’s a review and by no means does it answer everything? It provides some suggestions as far as measurement and management but where do we have to go next? If anything, it did highlight some areas that we need to consider moving forward. Adam, what I liked about your paper is that you did something that is very innovative, and you leveraged technology. The title of your paper is the Effects of a Home-Based Telephone-Supported Physical Activity Program for Adult Veterans with Chronic Low Back Pain. Telemedicine is new. We’re starting to see how it works. Most researches are around diabetes, but we’re now starting to shift over into the chronic pain world. Tell us about the study and the three groups that you have designed. This started before I met Steve and Corey. The setting was in the Durham Veterans Administration. It’s all veterans. While we were writing the grant, it was before the telemedicine or telehealth boom. I don’t even remember that we even put that terminology in the grant, but that certainly has been a venue for increasing opportunities for research. We were interested in older adults, physical function, and preventing physical function decline. A group of the health services researchers at the Durham VA and I decided to join forces and think about how we can increase physical activity among older adults with chronic low back pain. This is a susceptible group to functional decline and even more susceptible to chronic low back pain. We wanted to leverage some technology with the telephone-based program. Everything was in a home-based setting. The veterans would come in for one visit with a physical therapist and then they would get a home exercise program. We would support that program through periodic phone calls throughout the twelve weeks. We also utilized an exercise counselor to add to that program with a little more often phone calls to progress their exercise program. We did include three different arms to the study. There was a physical activity only group, physical activity plus cognitive behavioral-based therapies, and then a weightless control. It was a pilot. As Corey mentioned, this is a new unresearched area, and we wanted to see what the effects would be if we would implement such a program among veterans. We were able to complete the study last year and had a good enrollment and follow-up. We were very pleased with how it came out from a finality standpoint. This is an area about musculoskeletal conditions in older adults and studying processes of care and rehab. It’s a good opportunity, especially for chronic low back pain. This is a new un-researched area, and so we wanted to see what the effects would be if we would implement such a program among veterans. Can you tell us a little bit about the physical activity group and how it differed from the cognitive behavioral therapy for pain group? 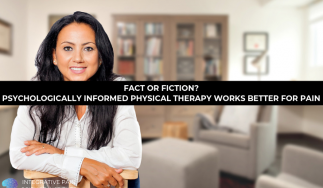 If they were randomized to the physical activity group, they would receive a physical activity structured exercise program that was delivered on a baseline when they came in to see the physical therapist. It was fairly tailored to how they presented during the physical therapy examination. However, the exercises were straightforward. The techniques were something that we typically do in a physical therapy clinic, and so forth. It’s something that they would be able to do at home as well. That group got a structured program. Sometimes it was tailored if they were able to do some of the aspects of the physical activity program. They may start at a lower level and then progress as the physical therapist and exercise counselor could progress them along. They also got a DVD which was a low-impact exercise program. It was designed for knee osteoarthritis, but we used it as a low-impact exercise program that they could follow along with the DVD as well. The physical activity program was also tailored to where they present when they came in. It could have been as simple as walking five minutes down their driveway to going to the local high school track to do laps to doing some type of treadmill or stationary bike. It was their choosing. The physical activity program was the same with the physical activity group and the physical activity plus cognitive behavior therapy. The physical activity wasn’t different between those two. It’s if the individuals were randomized to get CBT as well, the Cognitive Behavioral Therapy. They received additional phone calls that were tailored to specifically CBT for pain and how they could manage their pain with respect to the exercises they were doing. That was delivered by the exercise counselor who had been cross-trained to deliver the CBT for this study but also to some other previous studies as well. As a PT, I’m curious why the PT didn’t provide the CBT and you chose the exercise counselor instead. We’ve had those questions. From a standpoint of how we, from our stakeholders in the VA health system, were trying to optimize delivery of an intervention without utilizing a provider to an extent where it would show some value in what we’re doing. We had done this before with some other studies with knee osteoarthritis. We wanted to utilize a similar mechanism where we could take this different type of provider and use their skill set to deliver that without taking away from a provider who may be less able from a time and effort standpoint in that sale system. Because physical therapy is an in-demand service in the VA system, so it helped with the need. What was interesting is that the CBT plus the PA group didn’t do much better. We initially thought that that group may have an additional benefit from having CBT. We didn’t see that effect when we looked at between-group differences with CBT plus physical activity when compared to the physical activity alone. The physical activity alone did do a little bit better than with those that got the CBT as well. It was against what we had initially thought would happen. It’s not against what others have found in other studies, but in this group, we thought that they may have an additional benefit. There are several reasons we thought of to explain that, but one of the big things is that it was a pilot study. It was a little bit of a smaller study. The CBT wasn’t a robust, full-blown CBT type of event. It was a very packaged CBT for pain type of event. There are several ways that could explain that, but then again, others have found that those groups didn’t do as well either. The other thing you mentioned was the physical activity group may have done better because the patient had to focus on one thing. It’s interesting to me from a patient perspective as well as a professional perspective. In the context of the particular subgroup of older adults, they were receiving one phone call from the exercise counselor that was very condensed and focused like how are you doing with the exercises and do you need to change them? They were focused on that throughout the whole twelve weeks. The other group was receiving longer phone calls, switching back and forth with the PA and the CBT. That could explain some of it, but we’re not sure exactly from this type of study. Some of our stakeholder feedback from the patients is that they all seem to like the phone calls, which surprised me a little bit. They all felt like it could have been more and longer. It’s hard to tell from the pilot. Pain patients like support. Do you have plans to do a larger study of some type? Yes. The senior author on the paper is a health services researcher at the VA, Kelli Allen. We’ve talked about some different ways to move it into a larger study. Some components of it were in a study that Steven and the VA are doing now, a larger pragmatic study. To some extent, we’ve moved that along. We’re still thinking of different ways to bring that into a larger study and what context that would look like if it would be more related to a rural health-type of thing because it is a distance-type of opportunity. We’re still working on it. I want to ask the three of you a question. This may put Steven on the spot a little bit, but when you look at that journal, I’m sure you guys are familiar with the topics in there and the articles and information. Obviously, it’s a journal so it can only hold so much information. Do you feel like there was anything that was missing from that pivotal edition? We got to the point where we were very grateful for what we had. The authors who responded and made it through peer review, they produced some strong, diverse work. From a design perspective, and this is not meant to be ungrateful to any of them that are in there, maybe having another randomized trial is better. We did get some good responses on some of the health services research, which does a good job of describing the effectiveness. For some people who are concerned with rigor and controlling for biases, there’s no substitute for a well-done RCT. Adam’s study was a very strong one, more in the pilot stage. The group from Belgium provided a strong trial on the pain neuroscience education. It would have been nice to have another one like that. I thought the perspectives turned out well. I’m racking my brain to think of a perspective that would have added, but we were happy with that. Maybe another data-driven paper looking at efficacy and maybe another type of cohort study. One of the things we learned in doing these is that studies have their own timeline. If your results aren’t right and a call goes out, that’s not the fault of the author. It’s bad timing. I don’t know what Corey and Adam think was missing from it. I certainly acknowledge it’s not comprehensive. It’s a great start, especially the forward thinking. A lot of the models and things that were in there were maybe not the center of practice but more pulling it in a direction. Some of the early but more vocal feedback was why wasn’t there a review of the existing literature? We didn’t want to do that because there have been some high-level reviews and clinical recommendations. We wanted it to be more forward-thinking. That part is missing, but I don’t think that’s something that I would have looked at. I wanted it to make people feel that this doesn’t look exactly the way practices do now, but that’s good. I didn’t want it to be reaffirming too much. We wanted it to push a little, and it met that. Corey and Adam, did you have anything that you thought was missing? Right now, we’re seeing the emphasis on non-pharmacological treatments and studies for those. If this was the baseline in five or ten years, you would see some more robust type of studies that that issue would look a little bit different. I can think off the top of my head several different studies ongoing that could hit those benchmarks at five or ten years. That would make that issue completely different and a little bit more robust in the trial design. Our study wrapped up three or four months before the call came out. It was almost right on time, there’s a little bit of a timing part of it. I thought everything in the special issue was fun to read and informative. I don’t think that there is anything I can think of that was missing. In the future, if you repeat it in five or ten years, you would see quite a bit different from a journal issue. Right now we’re seeing the emphasis on non-pharmacological treatments and the emphasis on studies for those. I echo both Steven and Adam’s point. Clinical trials are very important. There can’t be enough because obviously, we’re not exactly optimal in our care for chronic pain condition. Those and large-scale outcome studies and specific non-pharmacologic management are appreciated and will continue. We worked on one end of the spectrum of the lifespan in a perspective of measurement management for older adults. Similarly, there is a lot that we don’t know about pediatric conditions. That’s missing. My colleague up in Cincinnati Children’s, Chris King, and I have talked a lot about this. We’re working on a pediatric migraine paper because as little as there is in one of the spectra of the lifespan, it’s true with the case in the other end of the spectrum in pediatric pain condition. Perhaps this will push that. Knowing that pain research and pain science is starting to move forward at a faster speed than it has in the past two decades. The three of you are very attached to universities and the physical therapy program, what do we need to do as a profession to make sure that the research is getting into the PT programs at a program level? So that graduating therapists have some of these skills and knowledge ready to go? This is happening with Kathleen Sluka’s group and ISP’s push, as far as standardizing Pain in PT curriculum is important. Steven was part of that. That’s happening as we move forward. More and more institutions are adopting that. That’s an important thing from a pain perspective as far as evidence is concerned. I’ve been part of a few institutions that it felt like it was a real push to throw everything into it. Now, we’re taking the opposite approach of pulling it back because they have to make it digestible for the clinician. We have to make it usable, that they’re going to use it. What is the minimum data set that we need to make sure that we are still on the frontline of care and pushing and translating research into clinical practice? At the same time not inundating and burning out clinicians who already have a very tough job. If we can get it at the entry level for students that they understand how to digest that literature and use that literature. It’s fun to them and it keeps their practice new and innovative, the better. It’s also changing the paradigm of, “It’s evidenced-based practice which I don’t know much, maybe the nurse on this call.” It’s not the most favorite thing for students to learn. There’s a few in each class but usually, it isn’t. If we can make it that for the most part at least powerful, the better it will be. Along those lines, that’s the curricular and program response. Adam has modeled this well and there are some others around the country also building practice models, so people can see what this is going to look like. If we’re still sending lots of students in the models where the PTs maybe aren’t operating in a progressive way or the way they’re going to be doing in five years, it’s hard to overcome that. Some of the models of working directly with primary care or even being an entry point, making sure that those of us who are active and working with teams, and the VA collaboration that Adam mentioned, which he and Corey are involved in. Basically, co-opting some of the teams. It’s a powerful group that involves PT health services, researchers, physicians, and exercise scientists. It’s this whole tension between making sure we take care of our own ship professionally, but also not repeating the PT mistakes of being insular and saying, “We’re going to do this in the outpatient clinics that were referred to us.” It’s also going to push us to be more involved in the teams that are not only worried about the care, but what is the system that’s delivering this care and how are we going to set this up. Not just for the individual patient who encounter but for the whole health system for which physical therapy is going to be responsible for providing services for. That’s a little different mind frame, but to me, it fits along with having an updated knowledge of pain. One of the things we find we consistently bring to the teams is often we are the ones who are most confident in bringing these updated principles and knowledge of what musculoskeletal pain is in the present and the future. Also helping the people who have their hands on how the system delivers and understand what that means. Here’s a question not just for a physical therapist but for any practitioner. The biopsychosocial model is a huge model and it covers a lot of different areas. How does a practitioner start to look at that biopsychosocial model without feeling like they need to know everything under that umbrella? We ran into this problem with writing our paper. We ran up against a limit as far as the perspective, number of words, number of citations, because you’re right, there is a lot. I would say that to at least acknowledge that there are biological, psychological, cognitive, social, and ultimately environmental influences on pain. At the same time, maybe to understand the most robust of factors in each of those areas and not thinking you have to know every factor in those areas. What we did was we tried to outline the major players and the major measurements specific to older adults to measure those factors. When I read your paper, I’m like, “This is a lot of information.” The way you listed out the measurements, I thought it was great because a PT can have those at their disposal or another practitioner. They can use them as a form of screening and eventually for either a referral or a form of intervention. Practitioners will like that it’s laid out in table one in your paper. I don’t know if either the two of you want to comment on the magnitude of the problem that we’re looking at as far as practitioners go. In a busy clinic time and busy healthcare volume time, breaking it down into digestible groupings is a benefit. Going back to what Steve said of how to change models of care with the knowledge and abilities that we have as therapists. Thinking more about the biopsychosocial model and incorporating that is allowing us to enter different care models and break down those different components quickly and easily to provide better care. What Corey had done in that paper is something that we can value in our thinking process, especially as we enter these different care models and incorporate assessments within those different buckets to make decisions? In a busy clinic time and busy healthcare volume time, breaking it down into digestible groupings is definitely a benefit. Joe, you mentioned that psychosocial is the most developed of this. It becomes clear where our saturation point is. I can make recommendations on how to assess the psychosocial that are much less cumbersome than they would have been five or ten years ago. It’s also being aware that each of these areas hit a saturation point and there is a period of becoming efficient in measurement. Now, there are psychological measures that with nine items you can get to a saturation point, whereas before, we would have said, “You’ve got to do six questionnaires to get to that.” It would be interesting to see what other areas get those efficiency metrics. PTs must be willing then to drop. There’s this idea of saturation doesn’t mean you’re doing something comprehensive. There is information that is enough. If you want to go across biopsychosocial at some point, you have to say, “Here’s my saturation point for this category.” We’re not as good at doing that because we feel like, “If I’m going to measure this, I got to measure it from top to bottom.” For the longest time, imaging was the biological indicator and we now know imaging isn’t. I’m sure there’s going to be some inflammatory markers and things that are clinically relevant. You don’t want to run the risk of, “I have to have something in each cell.” It’s a relief too, and this goes back to the psychologically informed practice, just by talking to the patient, being patient-centric and using motivational interviewing, you find out a lot as far as the influence into a condition. Just with that, you’re covering the gamut of all those things. If you can adequately and proficiently talk to the patient, they will tell you if you are keen enough of what’s going on. That does jump into a lot of the psychosocial influences of the motivational interview. Little MI skills go a long way during the initial evaluation. Can you tell everyone how they can learn more about you and what you’re up to? We could start with Steven. I’m the director of Musculoskeletal Research at the Duke Clinical Research Institute. We have a homepage there that has updates on our team. Corey and Adam are part of that team. Chad Cook and Chad Mather are part of that team as well. We do a reasonably good job of updating that. Corey is involved in helping with our social media profile. We have a @DukeMSK Twitter account. We try to sound off when we get good news, whether it’s related to grants or papers. We’re also active in conferences. Those are the three main venues. We remain active in publishing inside PTJ and certainly outside of PTJ. We all have some projects going on now that we won’t get into the specifics but that hopefully will help move things along over the next five to ten years. Is there a website where people can go and find you? We will link it to our Twitter handle which is @DukeMSK. Maggie Horn Rossmann is also part of that group. Me personally, it’s @CBSimonPhysio. Those are the two that usually where Adam, Steve or I are putting anything out into the social atmosphere. I want to thank Drs. 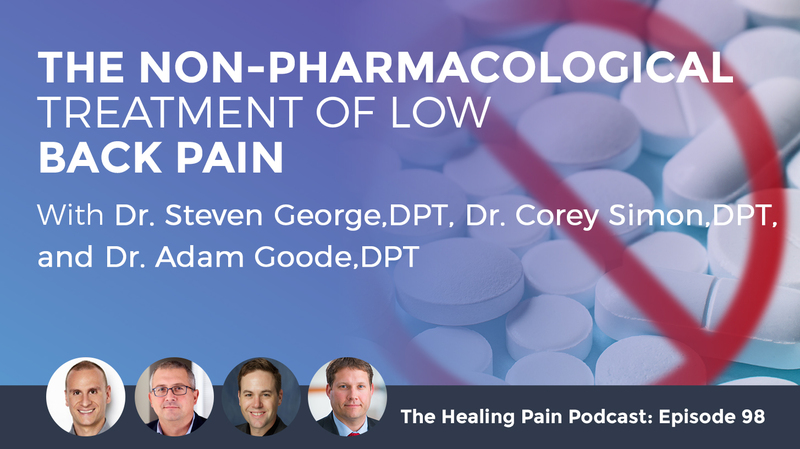 Corey Simons, Steven George and Adam Goode for being on the Healing Pain Podcast. At the end of every podcast, I ask you to make sure you share this out with your friends and family on social media, whether it’s Facebook, LinkedIn or Twitter. Thanks for joining us. I’ll see you next week. Adam Goode is a 2005 graduate of the Duke University Doctor of Physical Therapy Program and 2011 graduate of the University of North Carolina Chapel Hill Gillings School of Global Public Health with a PhD in Epidemiology. He has been on faculty at Duke for 12 years and is an Associate Professor in the Duke Department of Orthopedic Surgery and the Duke Clinical Research Institute. He focuses on two primary areas of research: health services of musculoskeletal conditions and musculoskeletal epidemiology. He is the principal investigator of “Biomarkers to Advance Clinical Phenotypes of Low Back Pain (BACk)” and R01 funded by the National Institute of Arthritis, Musculoskeletal and Skin Diseases. He is the principal investigator of the CTSI funded project “The Integration of Musculoskeletal Physical Therapy in the Patient Centered Medical Home (IMPaC)”. He is a co-investigator on “Improving Veteran Access To Integrated Management of Chronic Back Pain” a UG3/UH3 co-funded by the NIH / VA. He is actively involved in the American College of Rheumatology, serving on the executive committee and chair of the research committee for the Association of Rheumatology Health Professionals. Dr. George’s primary interest is research involving biopsychosocial models for the prevention and treatment of chronic musculoskeletal pain disorders. His long term goals are to 1) improve accuracy for predicting who is going to develop chronic pain; and 2) identify non-pharmacological treatment options that limit the development of chronic pain conditions. Dr. George is an active member of the American Physical Therapy Association, American Pain Society, and International Association for the Study of Pain often attending annual conferences and serving on committees. Dr. George’s research projects have been supported by the National Institutes of Health, Department of Defense, Brooks Rehabilitation, Orthopaedic Section of the American Physical Therapy Association, University of Florida, and Foundation for Physical Therapy. Dr. George and his collaborators have authored over 185 peer-reviewed publications in leading physical therapy, rehabilitation, and pain research journals. He currently serves as a Contributing Editor for Physical Therapy and an International Editorial Review Board Member for Journal of Orthopaedic & Sports Physical Therapy. Dr. George is also a member of the Advisory Council for the National Center for Complimentary and Integrative Health. Dr. George is a past recipient of the J. Brooks Brown Research Award and has been recognized with prestigious research awards from the American Physical Therapy Association, American Pain Society and International AssociaAssociation for the Study of Pain. In 2016 Dr. George was recognized by the Florida Physical Therapy Association with the Scholarly Impact on Practice Award. This award acknowledges dedicated scholarly activity that has made a meaningful difference to clinical practice by physical therapists in Florida. Also in 2016 the American Physical Therapy Association recognized Dr. George as the Jules M. Rothstein Golden Pen Award for Scientific writing in recognition of his contributions to Physical Therapy and as the 21st John H.P. Maley Lecturer for making significant contribution to the profession in clinical practice. Corey Simon is an assistant professor in the Department of Orthopaedic Surgery and Doctor of Physical Therapy Division within the Duke School of Medicine. Corey received his DPT degree from the University of Buffalo and PhD in Rehabilitation Science from the University of Florida (UF). In addition, Corey completed a post-doc in Pain and Aging at the UF Pain Research and Intervention Center of Excellence (PRICE). His research is specific to older adults with persistent low back pain, examining biopsychosocial influences on pain with activity and mobility disability. In addition, Corey is part of a large NIH/VA pragmatic trial to improve access to recommended nondrug therapies for low-back pain in the Department of VA Health Care System; and a trial supported by the Duke Musculoskeletal Research Team (Duke MSK) to examine downstream opioid prescription for respondents with back pain managed in the emergency department. In addition to research, Corey teaches pain, lifelifespan and evidence-based coursework within the Duke DPT program.